Not many people take this step with Thunderbirds. Looking forward to seeing your progress. I had the valve covers on my car sandblasted years ago and it caused some pretty deep pitting in the sheet metal. 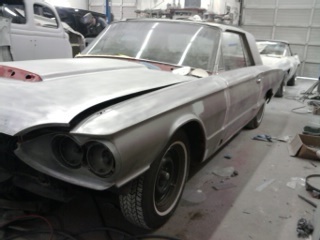 Since the T-Bird is a unibody car, you may want them to use something less abrasive then sand. Wow--I can't figure out why anyone would do this. 390's have generally been plentiful and swapping in a Windsor motor would not be a bolt-on process. That's a lot of time and effort for a less-capable motor. Would love to see photos of the engine bay. Prior to body work, my car was media blasted. From the stuff I found in the deep recesses of my car, it was some kind of tiny plastic beads. My body shop, Fenders and Fins, told me it wouldn't hurt the metal like sand does. For blasting a car, there is numerous media choices, sand, walnut shells glass bead, baking soda, others of strange origin, even rock slag. Plus factor in the air pressure to apply. It is a choice that one has to make and the level of corrosion needed to remove. Plus how much panel distortion you are prepared to accept. Plus how much vacuuming you care to do to get the crap out of the crevices when done. There is nothing worse than laying down a final coat of finish and having the gun stir up a bit of blast sand and lay it all over your hood! My buddy BIN DAR DUN DAT keeps stopping by every so often. A real Hell raising guy. Wow, kind of a mess. Is that a 2bbl carb? Perhaps that was done in the 70's to save gas? Not sure what to make of the chrome covers with the quick removal screws. Why would you have a 2bbl and a solid lifter cam? Wow. Trying to decide what I like best about this . . . the wires holding the surge tank up or the power steering plumbing. A crazy amount of work for little gain. That 351 seems like a WTF moment? 5000# car needs torque! Hi all. Just reading though this post. FYI regarding the 351W: There were two barrel and four barrel versions of the motor. The two barrel was rated at 250 hp and the four barrel version, had slightly higher compression, was rated at 290 hp. The engine was optimized for low end torque and as a result power flattens out as revs increase into midrange. The 351W is a small block and weighs about 100 lb less than the 390. 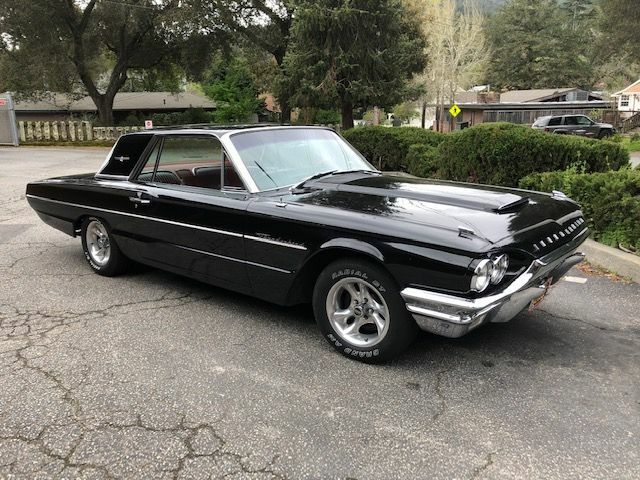 It can be bored and stroked to 408 or even 427 ci. Wow, I've never seen rot up behind the rear seatbacks like that. Have you probed along the "structural" elements of the unibody to ensure that the car is essentially sound? Same concerns here. Think maybe this is due mostly to window gasket and/or vent seal failure? Not beyond hope, obviously but I second Steve’s advice to look harder at the integrity of the underbody elements, i.e. torque boxes, etc.